Lung cancer. 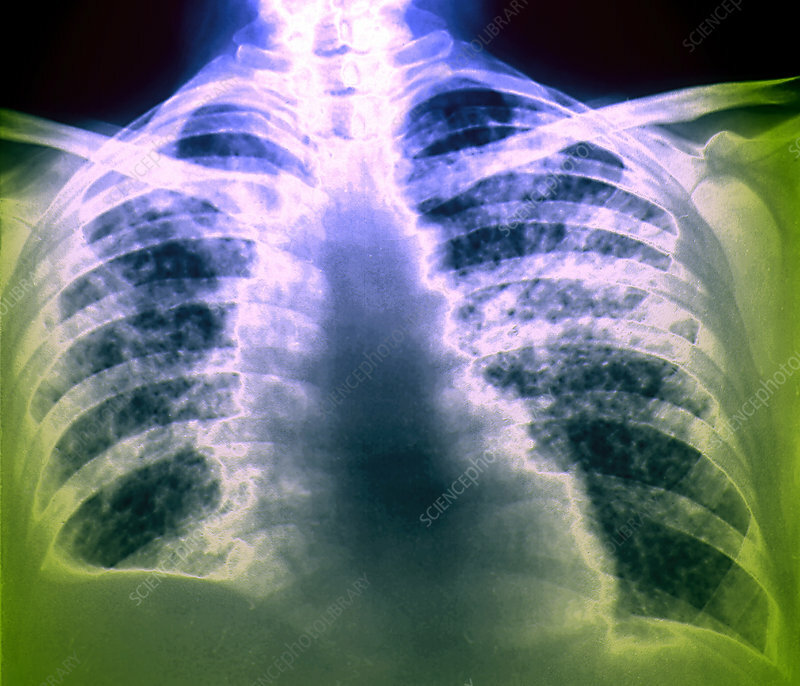 Coloured chest X-ray of a patient with miliary lung cancer. There are many small malignant (cancerous) tumours (grainy areas) spread throughout the lungs (black). The main cause of lung cancer is cigarette smoking, but it may also be caused by exposure to certain chemicals, including asbestos. Symptoms include chest pain, shortness of breath and a cough. Treatment is with a combination of chemotherapy and radiotherapy.